The seventh generation of Volkswagen’s C-segment contender. 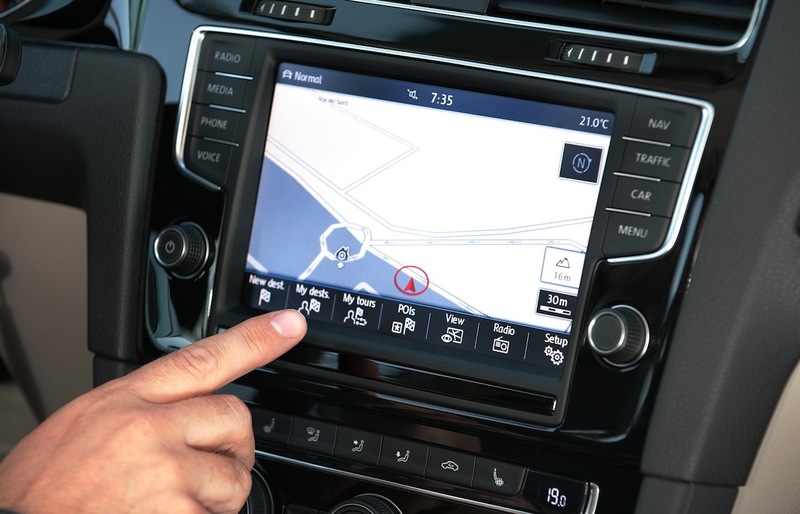 Once again, the German manufacturer has moved the game on, as the new Golf comes laden with new technologies such as a intelligent DFT screen, an upgraded engine line-up and a fresh design inside and out. Very few cars can be judged on driving just a few hundred metres. 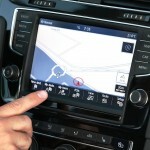 One of the exceptions to the rule is the new Volkswagen Golf. Before you even start the engine you are faced with a set of instruments that are displayed in a way that makes sense, while sat in comfortable, supportive seats. Once on the move, it quickly becomes apparent that Golf is a car that does everything very well. It might not have the dynamics of a Ford Focus – but it comes very close – or the desirability of an Audi A3, but judging on its overall abilities, Golf sits at the top of the leaderboard. The electro-hydraulic steering is nicely weighted and direct, while the brakes offer strong stopping power but with enough feel to give exact modulation. 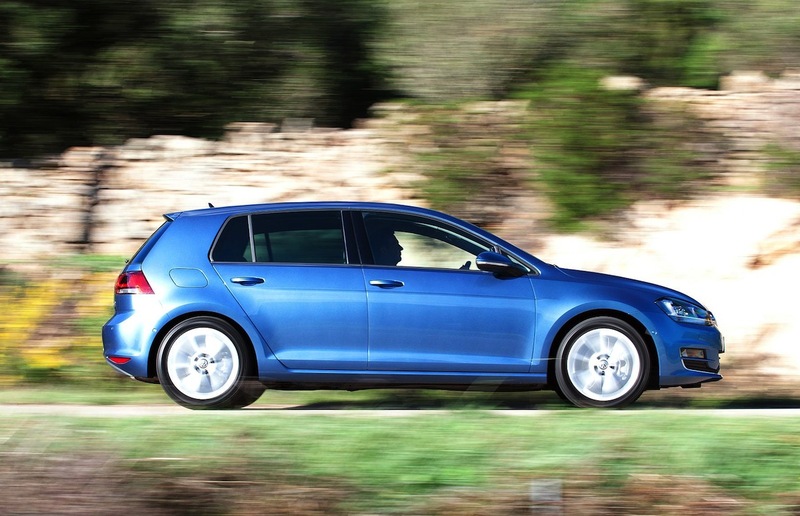 Tyre and road noise in the cabin are kept to a minimum, making the Golf a pleasure to use in all circumstances. The ride seemed a little firm in places, but Volkswagen would probably claim this adds to the ‘sporty’ element of the car. With numerous petrol and diesel variants available, the pick of the range is arguably the 1.4-litre TSI. The twin-powered supercharger-turbocharger powertrain has now become a common sight under the hood of various products in the Volkswagen Group, but seven years after its introduction, the engine still impresses. Mated to VW’s six-speed gearbox, it offers smooth changes to add to the overall performance and appeal. 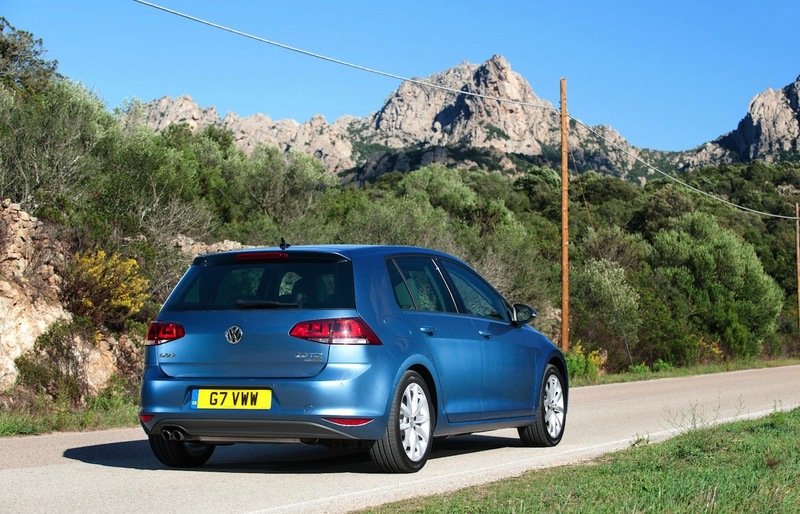 There is plenty of room in the rear for three adults, ensuring the Golf is still be a viable option for someone who has convinced themselves an MPV could be the way forward. 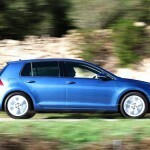 A decent-sized boot is yet another feather in the Golf’s cap. If there were any minor gripe, it would be the Golf’s C-pillars are wide, meaning reversing is made slightly more difficult if you don’t have rear parking sensors to rely on. This is, however, not a big enough issue to dissuade us from recommending this most capable of small hatches. 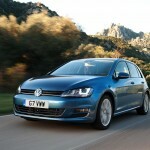 The seventh generation of the Volkswagen Golf moves the goalposts once again for the competition. 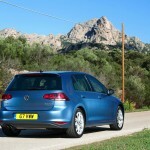 It’s rare that a new car ticks all the boxes, but the Germans have achieved it with this model. 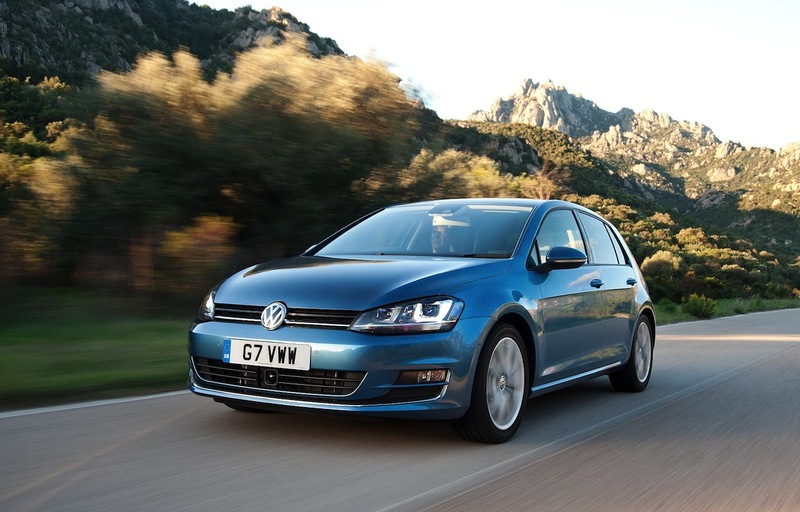 Beyond the UKCOTY verdict, Golf has, since its launch, picked up numerous accolades, including World Car of the Year 2013 and Scottish Car of the Year. The TSI engine. Yes, it's been around for a while, but it is proving to be as impressive now as it was when introduced in 2006. Those C-pillars, which can make reversing more hazardous when done without the use of cameras.